Columns were originally wooden and one central column would be used for structural support in small buildings. The Egyptian and Assyrian civilizations used more sophisticated columns in stone whilst the Minoans used whole tree trunks, turned upside down to prevent regrowth, on a base, topped by a round capital and painted. They used columns to create large open plan spaces and also as a focal point for religious rituals. Wider at the bottom with a simple capital, but no base. Stand on a base and have a capital in the form of a double scroll. Slimmer and taller, stand on a base and have a richly decorated capital, usually with sculpted flower and leaf decoration. All three have vertical fluted carving. No flutes and a simple base and capital. Similar to Tuscan but with flutes. With mixed elements of the previous styles. Earlier civilizations had used columns in the most part for the purpose of holding up the roof inside a building, using the outside walls for decorations with reliefs or paintings. 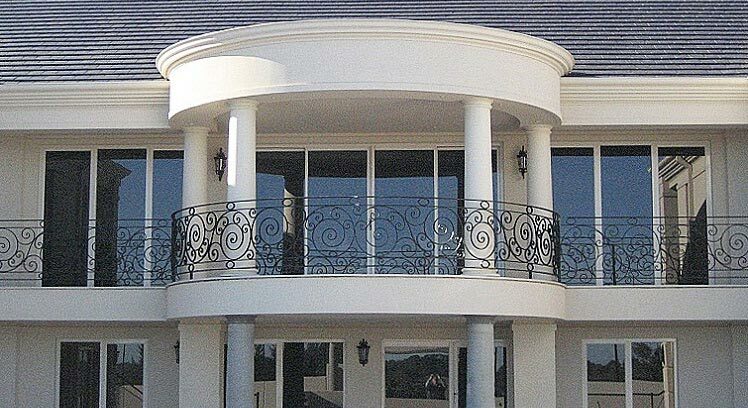 The Ancient Greeks and Romans, extended their use to the outside as well for decorative purposes. Buildings like the Parthenon are classical examples of this style of architecture. 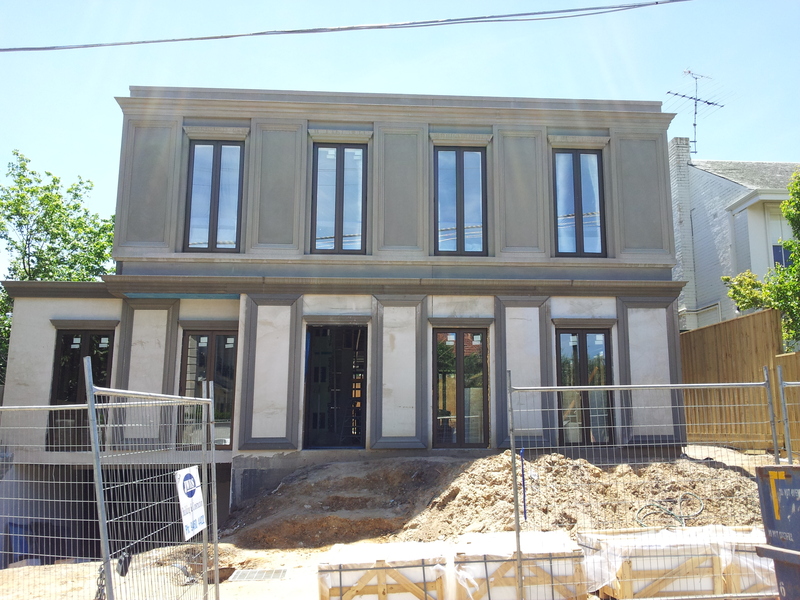 The use of decorative mouldings as columns on modern buildings brings back these past glories to contemporary architecture. The finishing Touch have created a new lightweight range of mouldings, including columns, that add beauty and a link with the past in modern building design. Arches are functional and add beauty to a building. They have been used since prehistoric times, but were originally only able to support small structures such as storerooms. That is, until the Romans created an arch that could support great amounts of weight. The Roman arch was used to construct buildings as large as palaces. 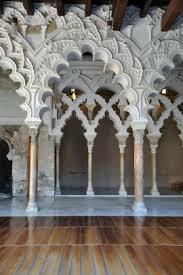 Other cultures copied this style and structure and new variations were created, such as the Horseshoe or Moorish arch, used in Islamic architecture. The Corbel arch is one of the oldest types of arch building, dating back to 3000BC. A corbel arch consists of two opposing sets of overlapping corbels, resembling inverted staircases, which meet at a peak and create a structure strong enough to support weight from above. Babylonian architecture made wide use of corbel arches. This is a semicircular arch. The original Roman arches were made of stone. A wooden frame was first constructed in the shape of an arch with stone work being built up around the frame and finally a keystone was set in position. The wood frame could then be removed and the arch was left in position. Stone arch technology was used on Roman monuments such as the Colosseum in Rome. 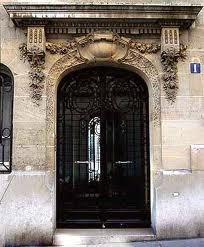 The Roman arch can still be seen today in modern architecture, now constructed from more modern materials. 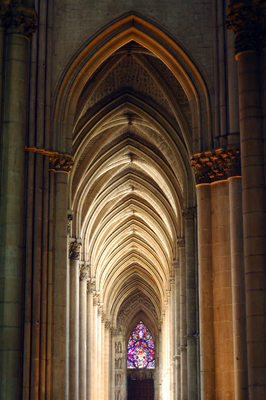 An important innovation of Gothic architecture was the experimental use of pointed arches. The main difference between Roman and Gothic arches was the the pointed shape of the latter, which introduced a new aesthetic dimension and reduced the arch thrusts by as much as fifty percent. With the weight of the roof being supported by the arches rather than the walls, the walls could be thinner. A three-centered arch—sometimes called a ‘Basket-handle arch’ or ‘Anse de panier’—closely resembles an ellipse, which puts it in a field of its own.The Basket arch is a flattened arch whose ellipse like shape is determined by three arcs that are interconnected; with each radius being drawn from a different centre. Also known as Semi elliptical or Elliptical, this style of arch is mainly used in modern day building due to its simple design. Mouldings add decorative interest to arches and the Finishing Touch can supply a light weight decorative moulding to suit the style of arch selected for your next building. Choose from the range or order a custom made moulding.